On March 12, 2011, Hector Becerra, Eastside Bureau Chief for the Los Angeles Times, visited Kids Reading to Succeed. 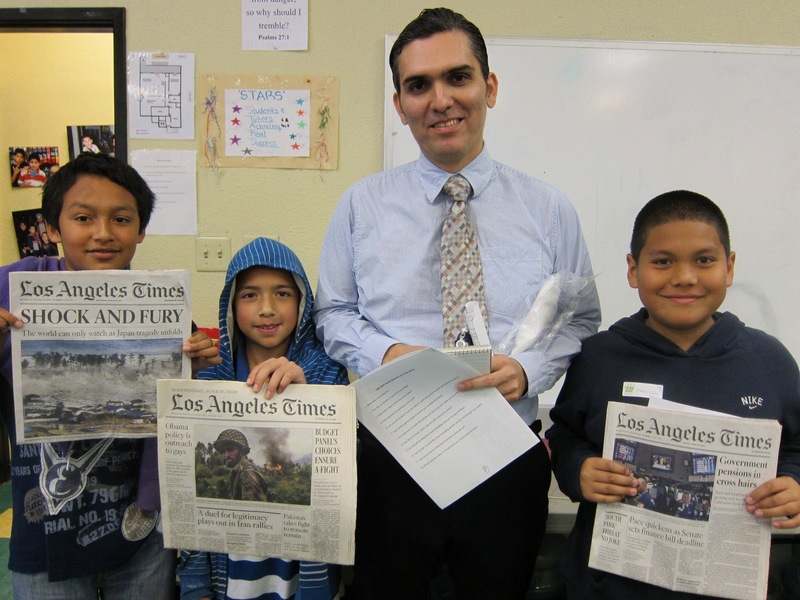 The students, with the help of their volunteers, read an article written by Hector that appeared in the L.A. Times. 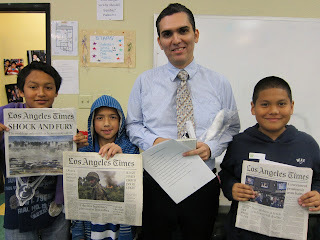 Hector then spoke about his job at the L.A. Times, discussed the article that the students had just read and shared other articles he had written, including one article about the earthquake and tsunami in Japan that appeared on the front page of the L.A. Times the morning that Hector visited KRS. The students then practiced becoming journalists themselves by asking Hector questions, including why he decided to become a journalist, the hardest story he had ever written and the most interesting person he had met through his work. Hector shared a very important lesson with our KRS kids -- he emphasized that reading is important because it helps everyone to become a better writer and to be more curious, which is a very important skill in becoming a journalist. 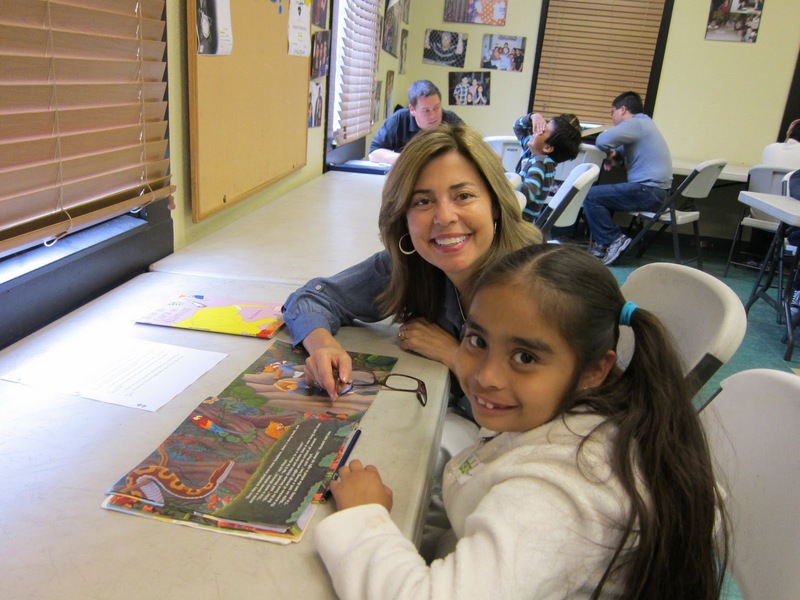 A big thanks to Hector for visiting KRS and making our March Saturday Reading Program a huge success!